There is little doubt that CNN and other liberal media sources have been attempting to derail the Trump administration, but one reporter, in particular, has frequently overstepped the bounds of decency. His name is Jim Acosta, and he has been a fiery thorn in the side of President Trump and his staff for months. Hailing from CNN, the number one name in fake news, Acosta has been painfully blunt about his hopes that the President of the United States fails miserably, only for the fact that Donald Trump is not democratic diva Hillary Clinton. Acosta isn’t mad at the world, or even at the Republican party in general. Instead, Acosta is using his CNN-acquired press pass to openly harass Donald Trump and the patriotic Americans that he has surrounded himself with. Press Secretary Sarah Huckabee Sanders has been a particularly frequent target of Acosta’s rage, given the sheer proximity of each other’s professions in the corridors of the White House. Now, however, Acosta has gone too far by only calling for a “resistance” to the President by the media, grandly overstepping his bounds as a journalist. 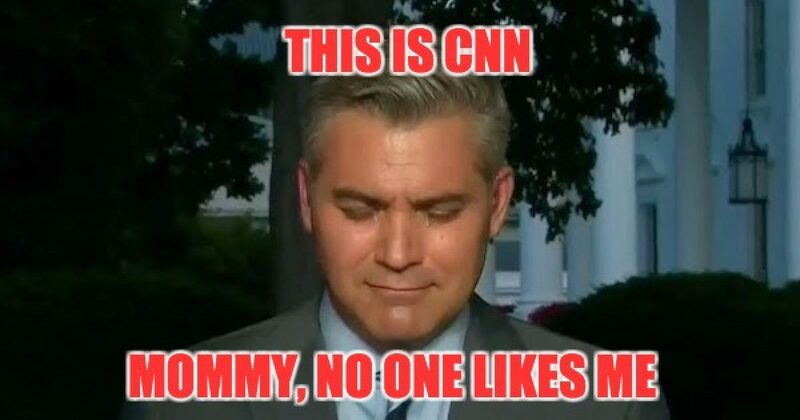 “CNN senior White House correspondent Jim Acosta on Monday continued to vocally criticize President Donald Trump and his attacks on the media. This despicable attempt to sway more mainstream media miscreants to Acosta’s perverse idea that journalism is will likely be heralded as the first of many nails in the liberal news’ coffin. Trump, Sanders, and the rest of the White House staff have spent a fair amount of time attempting to tame Acosta in the Press Briefing room to no avail, perhaps it’s time for CNN to have a White House reporter who digs for the truth rather than digging for something to cry about.